MINSK, October 13. /TASS/. 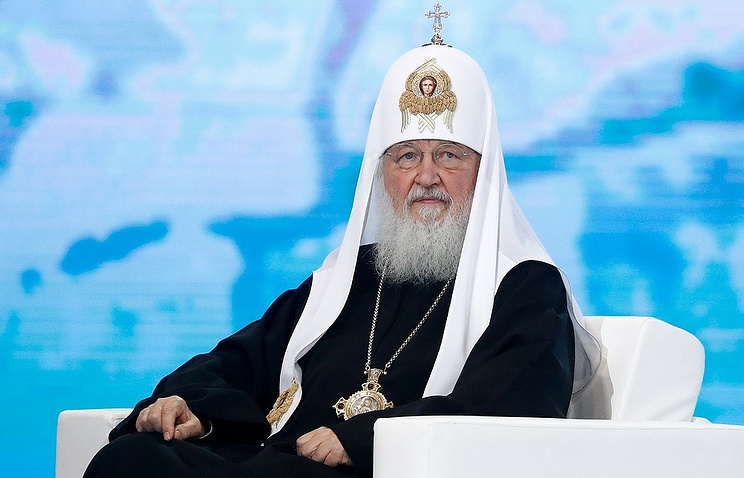 The canonical Orthodox Church in Ukraine cannot be destroyed by political groups, Patriarch of Moscow and All Russia Kirill said during his visit to Minsk on Saturday. "We are aware of how difficult the current situation in the brotherly land of Ukraine is," he said. "But we believe that secular forces that aim to destroy the church will never succeed." The head of the Russian Orthodox Church urged all believers to pray about decisions of the Russian church’s Holy Synod, to be held on October 15. "It will be a very important meeting, during which certain decisions regarding the situation in Ukraine will be made," he said. On October 11, a Synod meeting of the Ecumenical Patriarchate of Constantinople decided to "proceed to the granting of Autocephaly to the Church of Ukraine." The Synod revoked a legally binding status of the 1686 letter, which empowered the Patriarch of Moscow to ordain the Metropolitan of Kiev. 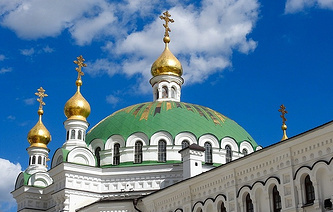 In addition, the Synod decided to re-establish the office of the Stavropegion of the Ecumenical Patriarch in Kiev, which means its head would be subordinate directly to the Ecumenical Patriarch of Constantinople. Moreover, the Synod lifted anathema from the heads of two non-canonical churches in Ukraine - Filaret of the Kiev Patriarchate, and Makary of the Ukrainian Autocephalous Church. Earlier, Vladimir Legoida, the chairman of the Moscow Patriarchate’s department for relations with the public and media, said that the Holy Synod would give assessments to the decisions of the Ecumenical Patriarchate of Constantinople on Ukraine on October 15.